We take greatest pride in sitting next to pioneers in healthcare digital services, creating and living the software revolution. We engage our software engineering expertise in crafting advanced software systems for business partners to benefit from exceptional customer experiences, competitive edge and revenue growth. This is our mission…and ROHEALTH fully reflects it. 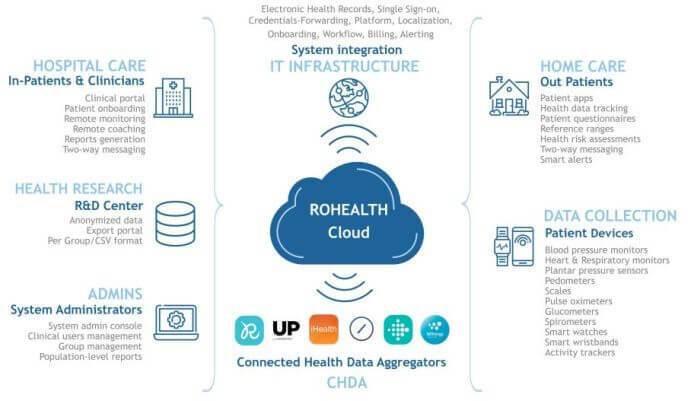 ROHEALTH integration platform responds to a growing demand of digital services in healthcare, providing a personalized easy-to-use software designed for patients to adopt a health-aware lifestyle.